We explored the struggle over Gaza firing rockets in southern Israeli cities in a previous blog. Hamas did not claim responsibility which left the question who pulled the trigger and where did the rockets come from. Not knowing who produced the missiles and where they obtained the materials remained a serious question. If some unknown peripheral group had developed this capacity, the issue would be doubly serious. What have we we learned in a couple of weeks? Interestingly enough, Yahya Sinwar, Gaza’s Hamas leader, just made the first positive statement about any compatibility with American objectives. While they disagree with almost everything including the time of day, Hamas agreed that Palestinian children have a right to educational opportunities, allowing them any profession they choose. The US government applauded the statement as a step forward. The problem is in how to achieve such an objective. Hamas chooses terrorism and violence as their modus operandi. While attacking Israeli kindergartens only leads to hitting a brick wall, they continue doing so. Surely, they know they can never defeat the IDF (Israeli military). They must wake up to the fact that the world has passed them by. Violence is no longer acceptable to anybody. Moreover, the 17 rockets fired at the Israeli border town of Sderot were intercepted by the Iron Dome anti-rocket defense system. Hamas’ last war with Israel destroyed much. Among what does not exist in Gaza today is democracy, cooperation, human rights and freedom. No future there! The real culprit in the last rocket attack on Israel is now known. Iran. Israeli intelligence has clarified that the Iranian Revolutionary Guard communicated directly with Islamic Jihad to fire the rockets. This Gaza extremist group has been financed from Iran. In addition, Syria played an indirect role. However, information now suggests that Egypt leaned on the Islamic Jihadist group to back off and restore peace. They have now said they will cease firing rockets. Certainly appears that Hamas with other radical groups never gets it. Constant conflict never leads to peace. Forty-five-year old Samar Hijazi fled Syria with her family. For years she had known the abuse of a domineering and violent husband. Once in Lebanon, she found the strength to approach a judge of the Sunni sharia court that set her free. Samar’s story is not unique. Life in Syria has been bitter for countless numbers of wives. But that’s not the story I want to tell you. Freedom has come to multitudes in a widely unpublished form. David Garrison’s book A WIND IN THE HOUSE OF ISLAM relates the untold story of thousands of Muslims converting to Christianity. He is now saying that the pace of Muslim conversions has accelerated. The percent of Muslims converting since the inception of Islam has been slow but in the last two decades 84% of all conversions over the last 1,500 years has occurred. Garrison recently reported that many Muslims have come to recognize that they did not find satisfaction in their faith. Although the civil war in Syria has torn the country apart and killed hundreds of thousands, silently in the shadows, the Holy Spirit has been bringing Muslims to new insights and spiritual discoveries. For example, Iranian Javad (last name withheld for his protection) had never met a Christian or owned a Bible. Conversion in Iran could lead to death. However, in 2008, Javad immigrated to Athens, Greece, where he was invited to an Iranian Church. He had no idea such a thing existed and came out of curiosity. A new beginning started in his life. Today, he works at a refugee center providing practical aid. He discovered at the center that 2,000 Muslims had turned to Jesus over the last eight years. Javad had gone from total ignorance to becoming a missionary for the new found faith. During the unparalleled migration of Muslims out of the Middle East, an informal network of new churches has sprung up in Britain, the Netherlands, Germany and other countries. A church in Berlin reported 1,200 conversions during the last three years. In Hamburg, more than 600 Pakistanis and Afghans lined up with Iranians for baptism in one service. In the Old Testament, Joseph said that what was meant for evil, God used for good. Certainly, this appears to be the first sign of good coming out of the horrors of the Middle East upheaval. In Iran, moderates have won a majority of seats in the Assembly of Experts. This group is responsible for choosing the supreme leader of the country. They have the ability to question and dismiss the supreme leader. Every eight years, the 88 member Assembly is elected. Consequently, the new group could play an extremely important role in the future of the country. The Assembly was previously dominated by hard-liners who deferred to the decisions of the head of the country. In the past, the moderates only held 25 percent of the seats. Today, they have won 60 percent. The staunch hard-line head of the previous assembly as well as the spiritual mentor of hard-liners were not re-elected. Moderates recognize the importance of improving relations with the international community and are far more open than the hard-liners. Probably, the next supreme leader they choose will be in favor of further expansion of democratic freedoms and greater openness to the West. Another difference is that moderates believe that government should reflect the will of the people expressed through elections. Hard-liners want to strict interpretations of Islam law regardless of what the people think or vote for. Undoubtedly, the successful negotiations of a halt to nuclear weapon production and the lifting of sanctions have given many Iranians an improved view of the West. Regardless of the fierce objections of Israel’s Netanyahu, these negotiations may have opened an important door for better relations. In Palestine, talk is growing of who will replace Mahmoud Abbas at the head of the Palestinian Liberation Organization. The Arabs have almost universally concluded Abbas is ineffective. Palestinian institutions and finances continue to deteriorate. The current budget deficit is $700 million in a small territory with few resources. 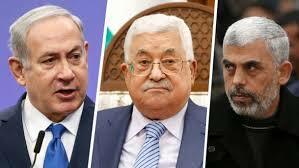 At this time, Abbas’s Fatah party controls the West Bank and Hamas controls Gaza. Certainly, there is no unity in sight in that division of authority. While Abbas probably intends to die in office, candidates are already lining up to take his place. They may overtake him before the undertaker arrives. One possibility is the emergence of a collective leadership. Nasser al-Kidwa, a nephew of Yasir Arafat, might lead such a collision. The removal of Abbas from power could have a dramatic impact on renewed negotiations with Israel. Hopefully, these shifts will bring a better and more peaceful day. The first step is to develop a perspective on the problem. Let’s see if we can place some of the issues in a larger frame of reference. 1. We need crystal clarity about the meaning of this “deal.” Both Iran and Israel believe that Iran can develop a nucelar weapon after a relatively short ten year moratorium. Obama’s statements have been somewhat confusing and ambiguous. The public needs to know what is expected to happen at the end of the 10 year period. Iran has been and is a dangerous destabilizing force in the Middle East. The Supreme Leader Ayatollah Ali Khamenei recently made a statement that nothing in this deal improves their contempt for the United States and Israel. Can temporarily taking building a nuclear weapon off the table improve the terrorist threat Iran has been promoting? It has been argued that removing sanctions will release billions of dollars for more terrorist activities. Will it? The only person who determines how this money will be spent is Khamenei. He has been clear about how he’d intend to use the cash and that’s not good. 3. There is a difference of opinion inside Israel about the Iranian deal. A number of military leaders disagree with Prime Minister Netanyahu. Why is there a difference in point of view. Obviously, Netanyahu’s strong rhetoric doesn’t reflect the entire country. Who’s right? A former brigadier-general and division head of the Shin Bet (Israel security agency) recently wrote that the State of Israel is not under any form of existential security threat at the present time. Lior Akerman maintains that even with the radical Islamic uprisings in the region, Israel’s military situation is quite calm. Neither Hamas nor the Palestinian authority pose a threat to Israel. In fact, Hamas’s financial situation is bleak. In this current debate over the nuclear negotiations, Israel will generally be portrayed as struggling to survive a common enemy (although who that enemy is goes undefined) Many like Akerman would argue that Israel’s immediate problems are a faltering health care program, a debilitating school system, and a serious erosion of support from the United States. These voices would claim Netanyahu would do better to turn his attention to these issues rather than orchestrate a political war with the American administration. Before we can come to a clear, final decision, the American public needs more clarification on these issues and less emotional and political rhetoric. Before you give in to your emotions, make sure your mind is informed. And it won’t be easy with all the smoke that’s in the air. As the song says, “June is busting out all over” and it sure is in the Middle East! Before we take another look at the future of ISIS (the Islamic State), a couple of recent decisions in Egypt deserve our attention. While this story has gone almost unreported in America, an Egyptian court sentenced Mohamed Morsi to death. The deposed president of Egypt as well as a leader of the Muslim Brotherhood and the first freely elected president in the long history of Egypt now faces execution. Should this sentence be carried out, Morsi could become a martyr to Egyptian Muslims. Of course, the death sentence must be approved by the grand Mufti, the ultimate Sunni religious authority in Egypt. In addition, such convictions will be appealed through the court system. At the least, Morsi’s death sentence is certain evidence that Sisi’s government continues to clean house and not back away from their repression of the Muslim Brotherhood. On the brighter side, American citizen Mohamed Soltan was finally released from and Egyptian jail. Charged with supporting an Islamist protest, he spent two years denying the charges and participating in a hunger strike. His life imprisonment sentence was protested by Human Rights groups and President Obama. President al-Sisi released him and Soltan left the country. Because of solitary confinement and the hunger strike, his health is dire. Back to ISIS. The recent capture of Ramadi and Palmyra has fired new enthusiasm for the Islamic State in the Muslim world. However, should ISIS prevail, can they endure and survive? The evidence of history suggests not. The fiery intial success of such groups usually falls before internal rivalries, a quarantine imposed by other governments, or the direct intervention of outside powers such as the United States. Comparing the rise of ISIS to the emergence of the Soviet Union has some interesting similarities. While the Western powers supported the White Russians, the United States, France, and Britian were exhausted by World War I and of course, Germany was defeated. No outside forces descended on the Soviet Union. Today nearly 75% of the American public believe the war in Iraq was a mistake and no political candidate (except Lindsey Graham) is going to buckle that large a plebiscite. Some unanticipated event would be required to change the opinion of American intervention. As long as ISIS remains at war with Iran and its puppets, it can expect to be funded by Sunni donors from Saudi Arabia, Qatar, and Kuwait. However, internal factors and behind the scenes maneuvering can easily and quickly change. The recent history of the Arab world running from Egypt’s President Nasser forward reflects the difficulties of maintaining such connections. Moreover, movements that operate on apocalyptic ideals and vision have historically burned themselves out. The wild end-time ideas that fuel today’s jihadists will disparate with time and the emotional force behind the war will disappear. In other words, what scares the West today, may evaporate tomorrow. The West does not have the intelligence sources to know what struggles are currently going on inside ISIS. Past history suggests conflicts are already at work. Such a situation could be as destructive to ISIS as any other factor. As was true of the Soviet Union, political evolution was necessary for future endurance. Can ISIS make such political adjustments and survive? Past history again suggests a “no” answer. The key to the future may lay inside ISIS.